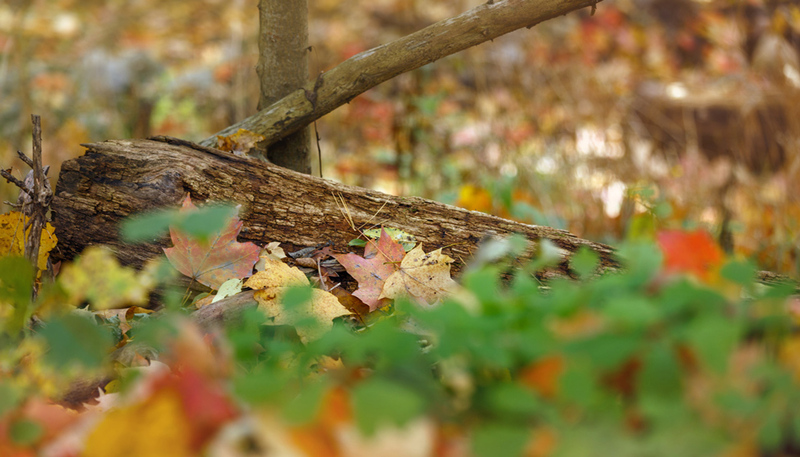 It’s been a long time since we stretched our hiking legs and put miles on our sturdy boots. They’ve been nothing but weight in our packs for awhile. 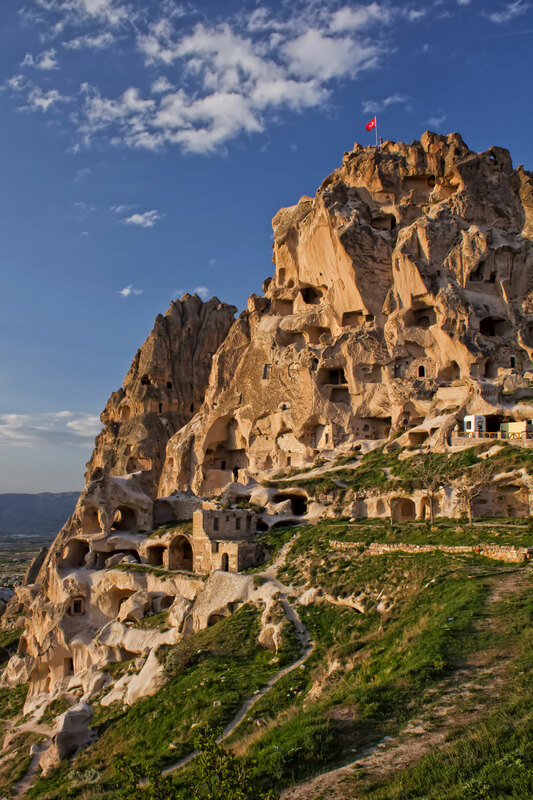 We could not think of a better place to bring them out then the enchanting and historical central region of Cappadocia. Full of unique rock formations, underground cities and previously inhabited caves, our few days there were quickly filled up and left us wanting for more. Upon arrival, the boots were immediately brought out and strapped on. We were up early to catch dramatic sunrises as hot air balloons rose over the valleys, and we climbed to the highest points in early evening to catch the sunset. In between we explored just a fraction of what this dynamic area has to offer. New valleys meant new colors as flowers were blooming everywhere. Birds ducked in and out and around corners to hidden nests. Tiny pebbles fell from above as lizards scampered across towering chimneys. It was the grand return to nature that we had hoped it would be. 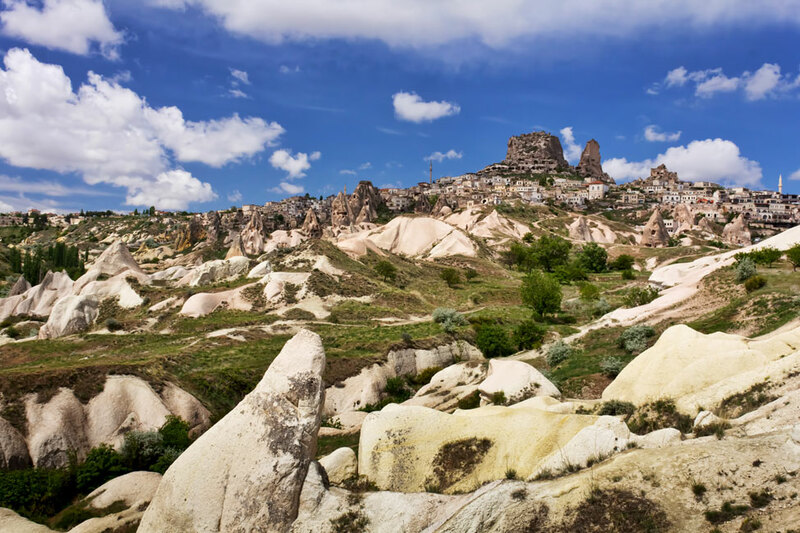 From where we stayed in Uçisar, we walked out our front door and right into Pigeon Valley. It served as a perfect introduction to the area. 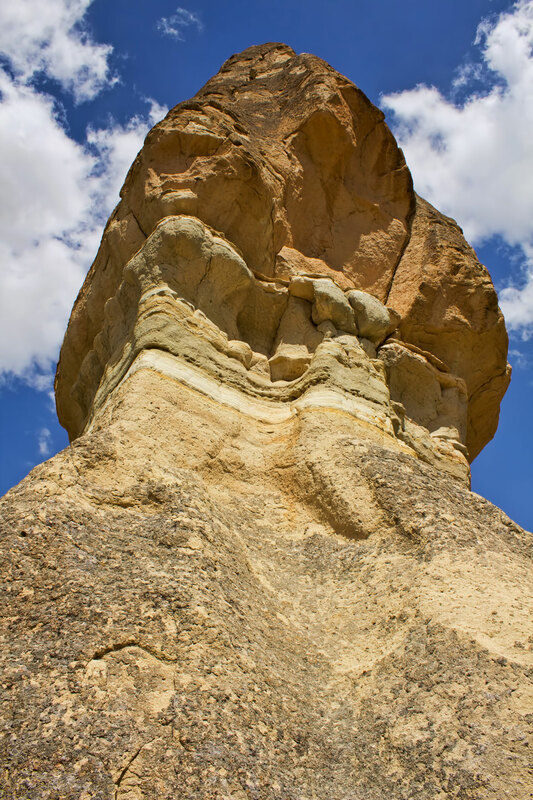 The entire area of Cappadocia is characterized by “fairy chimneys” (or “hoodoos”) which is formation of soft rock at the base and is topped off with a harder stone, some resembling a natural totem pole. What makes this area so unique in the world is that caves were dug out into the fairy chimneys as homes. Some are still used for storage of citrus fruits. The town of Uçisar, sitting just above the Pigeon Valley with a castle towering over all. 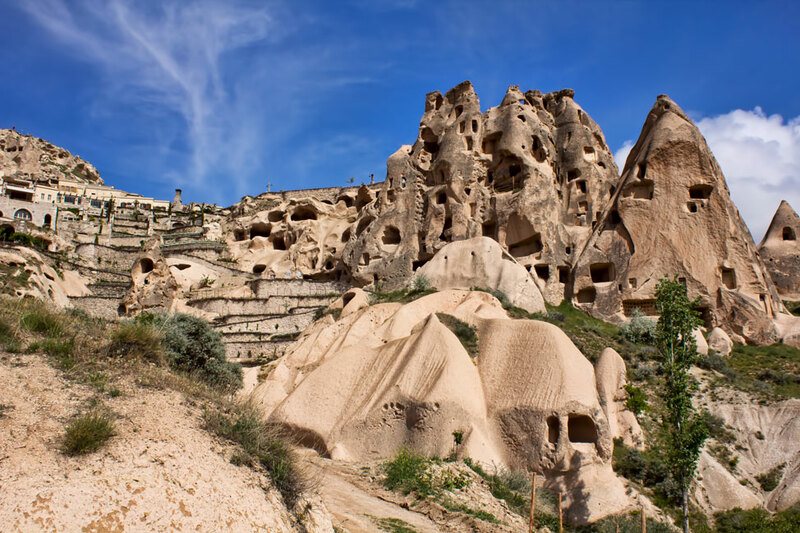 There are 36 underground cities in the Cappadocia area, used primarily as a place for protection from raids (the cities were typically not lived in continuously). 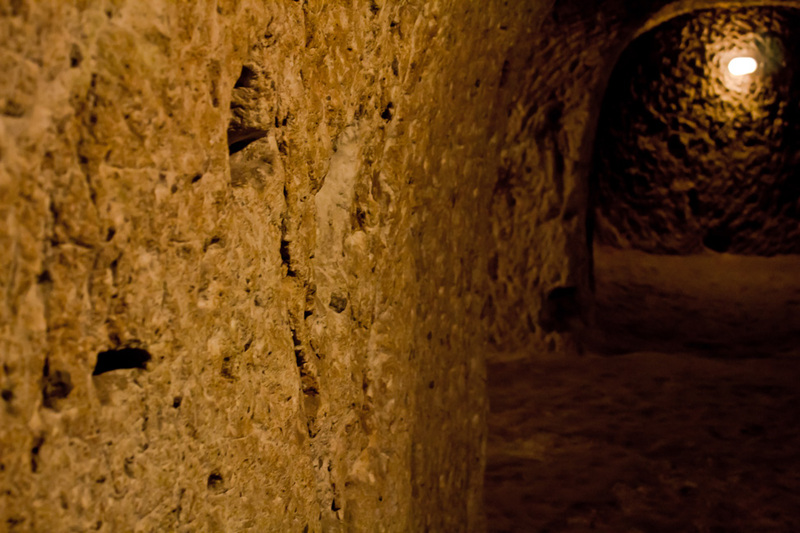 The Kaymakli city went down 8 floors, the deepest spot we reached was 60m beneath the surface. Archaeologists believe that Kaymakli could hold up to 3,500 people, and even contained stables to keep animals. This deep green valley offered a drastically different landscape then Pigeon Valley. A lively creek bubbled down the middle, and on either side were honeycombs of caves that housed churches and monasteries. 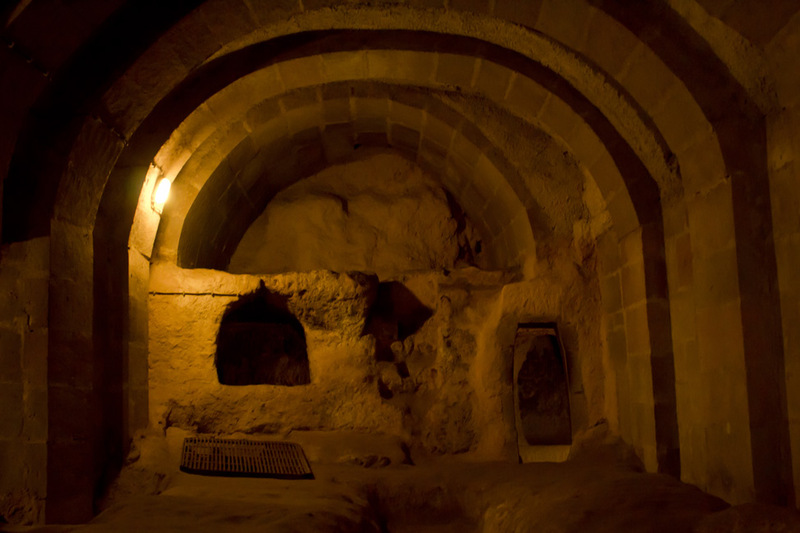 They served as hiding places for early Christians before Christianity was accepted as a religion in the area. 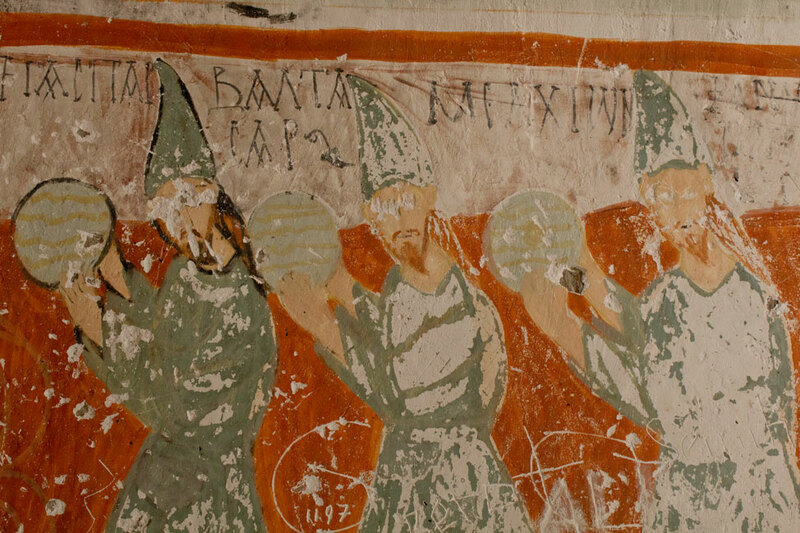 A mosaic that remains in one of the cave churches. 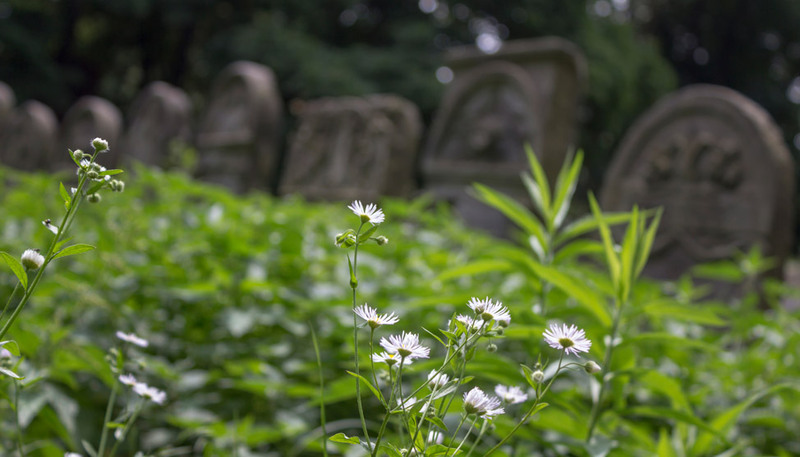 I admittedly threw the towel in a little early on this hike – our intentions were to make it to the Rose Valley – but the extreme heat, plus all the early mornings had me worn down. We made it as far as we could, stopping in deserted caves to cool off and rest periodically before making our way back to town. It was tough to give up on. 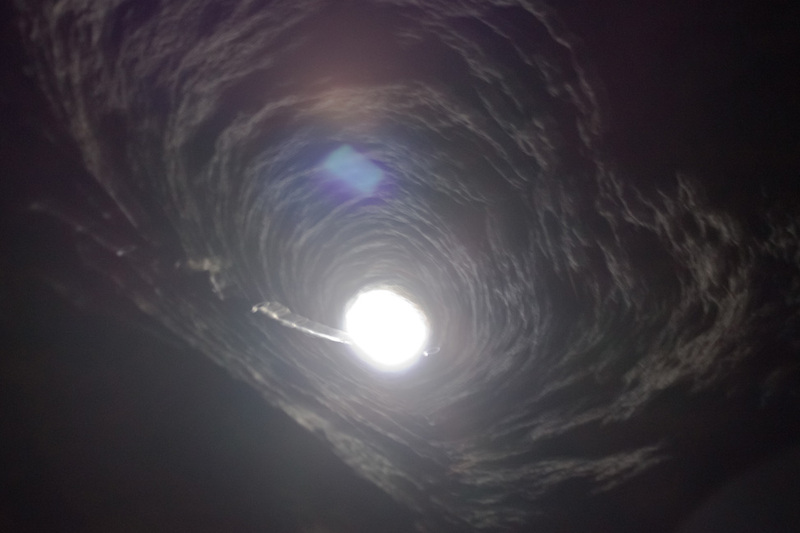 Looking up at a fairy chimney. Our view behind us as we called it a day. This highest point in the area provided the perfect place to watch the sun make its descent. 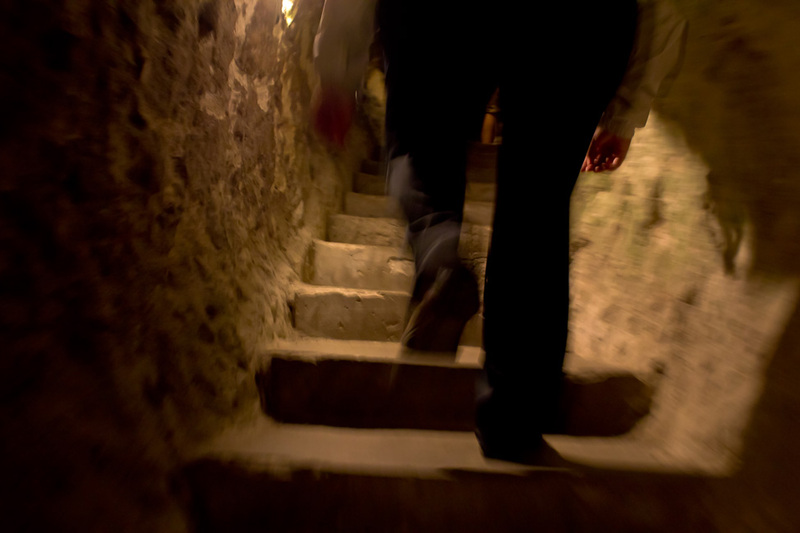 Tunnels, passages, stairs, and formerly inhabited rooms (used by the Byzantine Army in the 15th and 16th century) lead the way to the very top. The various shapes and sizes of the fairy chimneys constantly cast new and intriguing shadows with every passing second. Pretty sure we have never been in a more unique place to watch the sun go down. 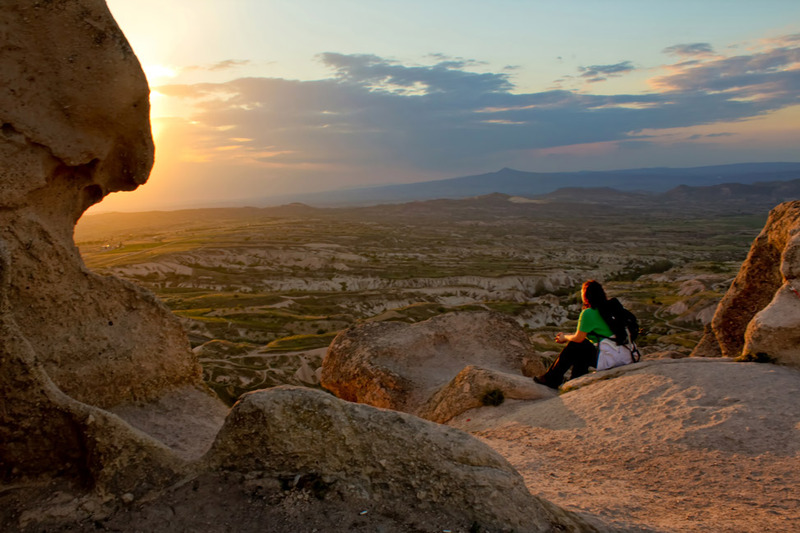 And you know what’s even better than exploring Cappadocia at ground level? Taking to the skies. "We dream of a better life..."
mia culpa, mia culpa and shame on me for being absent from you guys on your last days in Turkey. 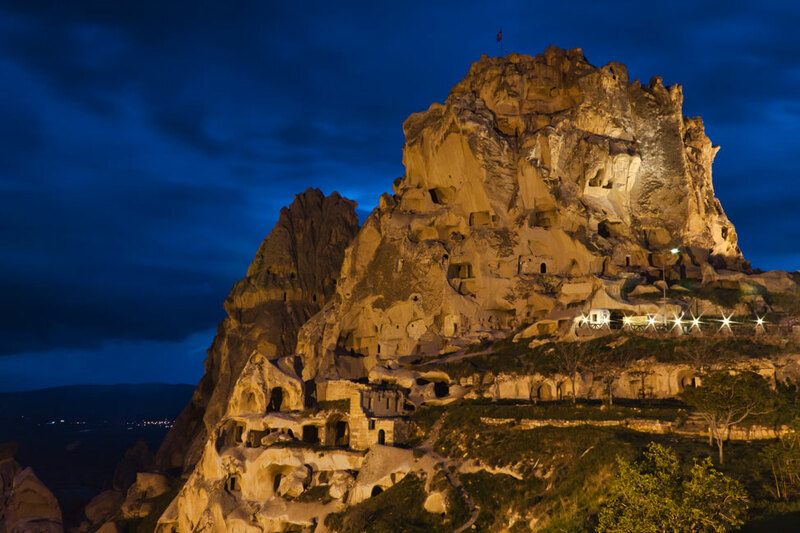 What an incredible and interesting place Cappadocia seems to be. The shots are exceptional! We did shoot a short video but it didn’t quite capture how amazing it was! You definitely gave those boots a workout! 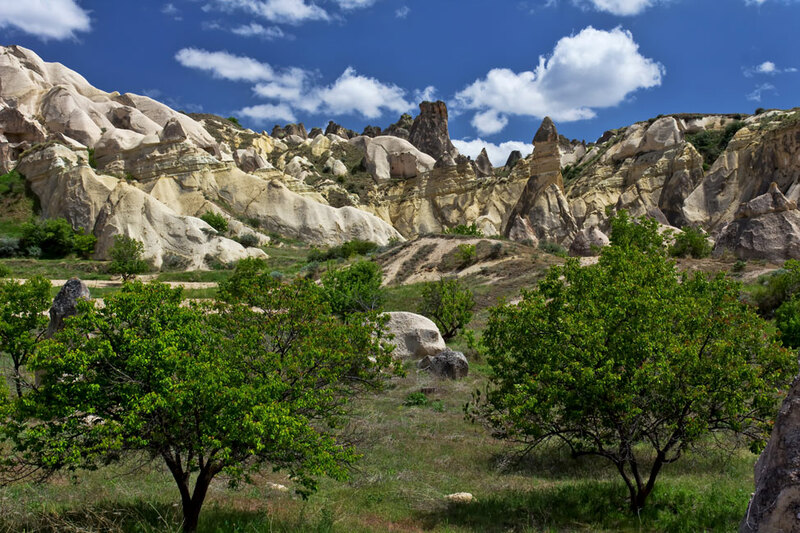 Looks like Cappadocia is definitely a scenic hiking destination, though I admit, Tony and I decided that our hikers would stay behind because we just don’t think we’ll use them enough to justify bringing them. These photos have me reconsidering! And can’t wait to hear about hot air ballooning! So cool! They are definitely a heavy thing to lug around, but we couldn’t NOT have them with us, even if we don’t use them as often as we like! Beautiful area. I would love to do some hiking there. The rock formations and village is spectacular! If you’re a hiker, then you gotta get there! The trails seem endless and it’s so unique! I wonder if they would rent out one of those caves. Would be an interesting home for a few weeks. Beautiful sunset pics. Some caves in the towns are now hotels! We could have stayed in one, but I’m glad we didn’t because the people we talked to said they were too cold! It looks like you had a stunning day for hiking! Wow. The colors are a lot more vibrant than I expected! 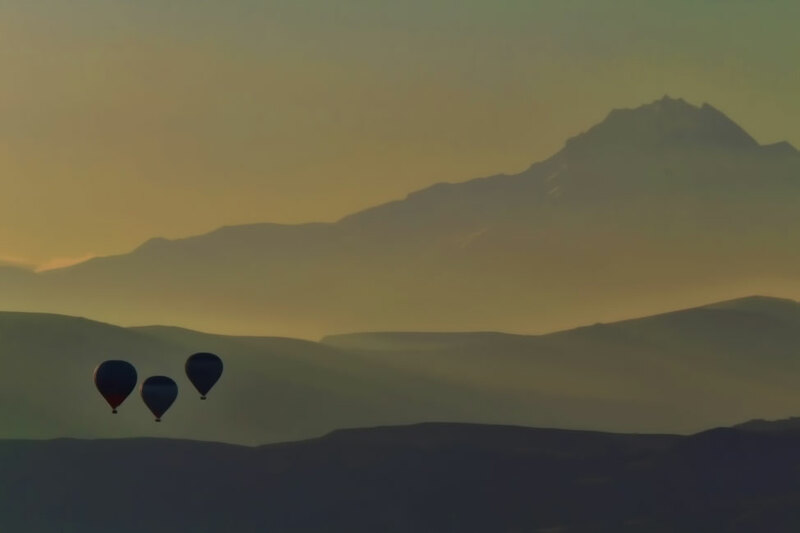 Cappadocia is pretty much the reason I want to go to Turkey. Your pictures are fantastic and I can’t wait to read about the hot air balloon ride. 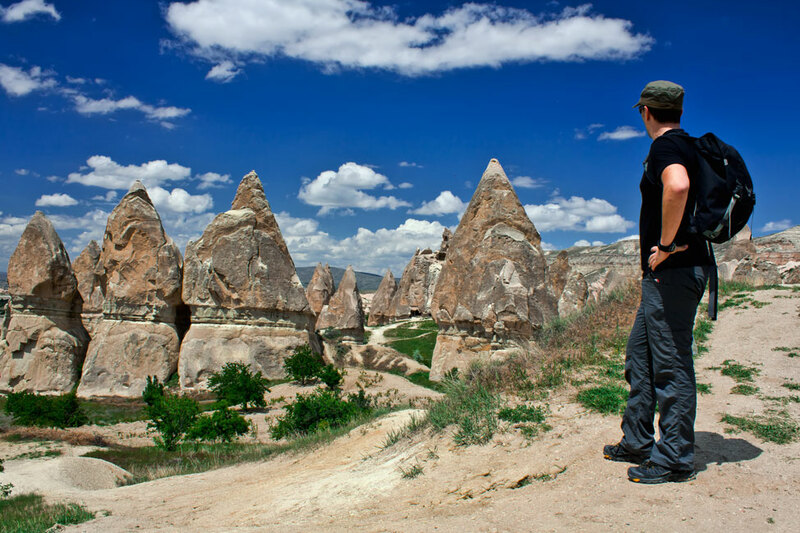 There is so much to see in Turkey, but Cappadocia is one of the best spots, for sure! This looks like a dream come true! The photos are stunning! I had no idea there was an entire underground village! This area is pulled right out of a fairytale! Can you climb on TOP of the chimneys? I can’t wait to see how your balloon ride goes! Chrystal McKay recently posted..Essa-where? Essaouira! It would be tough to climb to the top of a chimney (they are pretty smooth), but I’m sure there would be some that you could. The whole area is pretty magical. Great photos and you certainly covered a lot on foot! I’d love to come visit this area. It reminds me a bit of what Petra was like. Amazing how these people built and lived right in the rocks. We were just in Petra yesterday and we said the same thing…there are some similarities! That’s what I said to Pete too…we should have brought some pillows and blankets and just nestled in for the night! 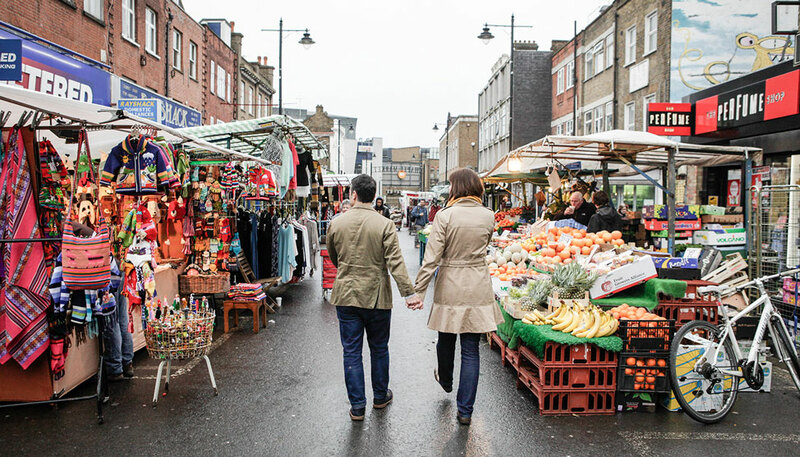 Fantastic place and you saw it the best way–on foot. Even though I’m sure the balloon will be fantastic, too. We loved all the hiking…but the balloons were something else! Cappadocia was really gorgeous! We didn’t do quite as much hiking as you did, but we certainly saw a lot while we were there. Love your pictures! Wow you guys got around. How did you like Ucisar? Were there places to eat and such there? I think we just saw the town from afar (the edge of Pigeon valley), but got a few nice pictures of the castle above it. Looking forward to your thoughts on the balloons. That is some seriously gorgeous scenery. I am a massive fan of hiking, and this looks just like the sort of place I would love to hike around. Amazing! Wow! Wonderful structures. It’s amazing what people were able to do back then with time and patience. Thanks for sharing the story and photos! I hope to go there one day. I love how you think the lizards were innocently knocking pebbles down at you while they scampered away. You know they were aiming for you right? Traditional lizard games always involve trying to take out hikers. I thought everybody knew that. Fantastic pictures of your sunset hangout. Love that you had your perch all to yourself. 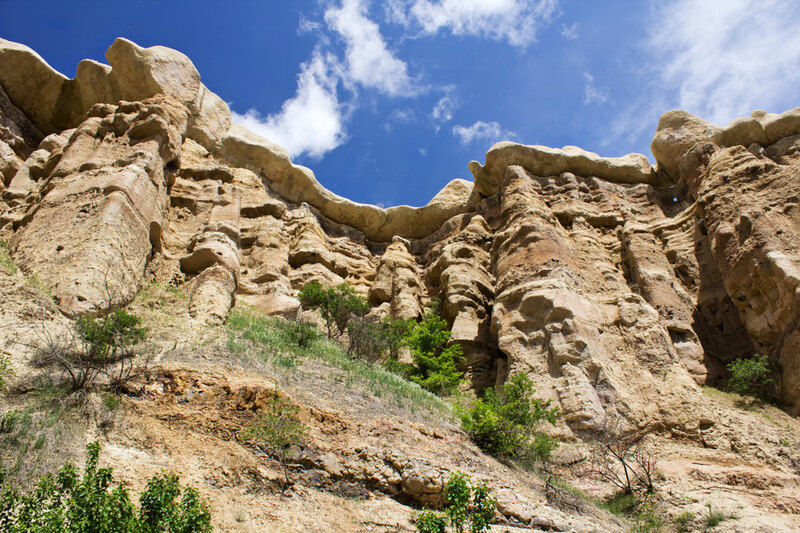 Looks like outstanding hiking territory – fab! I think I need you to start putting difficulty factors on these hikes: number of hours, how steep? at what point would Ayngelina start to complain? Ayngelina recently posted..Food Friday: Where to eat in Hana? Oh you just brought back a flood of memories. I saw a total eclipse from Uçisar Castle way back in 1999 and it was one of the most surreal experiences I’ve ever had. Well, that and the earthquake that followed 3 days later. Great photos guys! Isn’t it spectacular?! Beautiful photos. I loved that your timed your hike to catch the sunset from the castle. Beautiful photos! Did you guys go hiking on your own or with a guide? I am going in a week and would love to hike during the sunset and get some great photos, but we’re afraid if we hike too late it will be too dark to find civilization. Are the trails pretty easy to manage time? 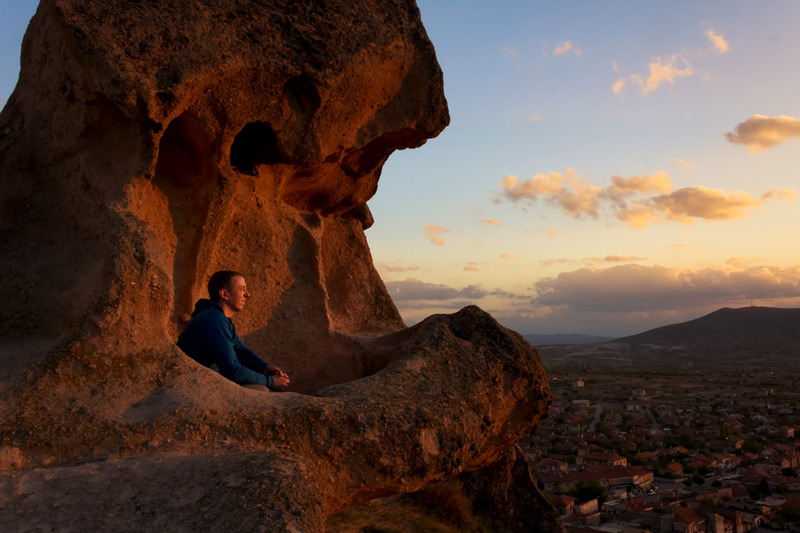 Hi Peter – the sunset shots were from on top Uchisar Castle. It’s only open until 730pm (I believe) and it is easy to get buses to/from Goreme (assuming that is where you are staying), and it is only 6 kms away. 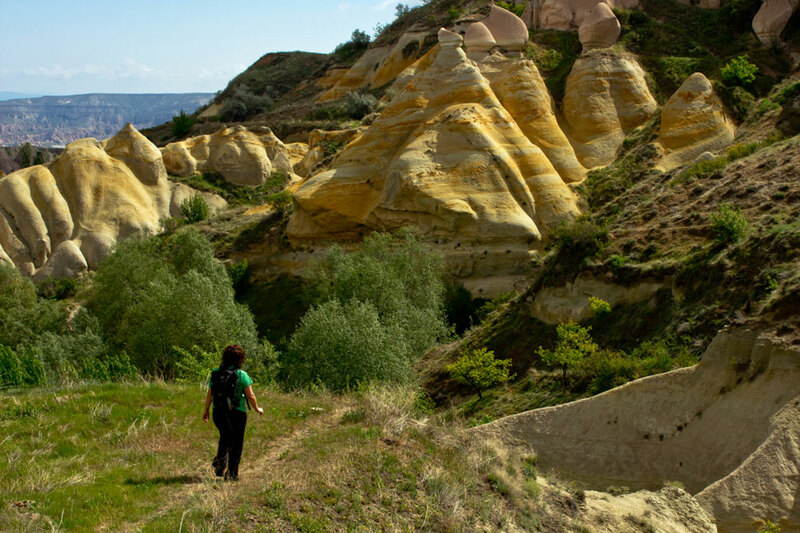 Hiking in Rose and Red Valley is very easy from Goreme and you can do that entirely on your own. The Underground Cities and the other valley (the green one) we did as a part of the “Green Tour” (there are four specific “colored” tours which you will discover when you get there). That was with a guide and was worth it – the only other way to get to all those places would be to rent a car. Oh my, love the photos. Where were the sunset photos taken from? I want to go there! Hi Paul! 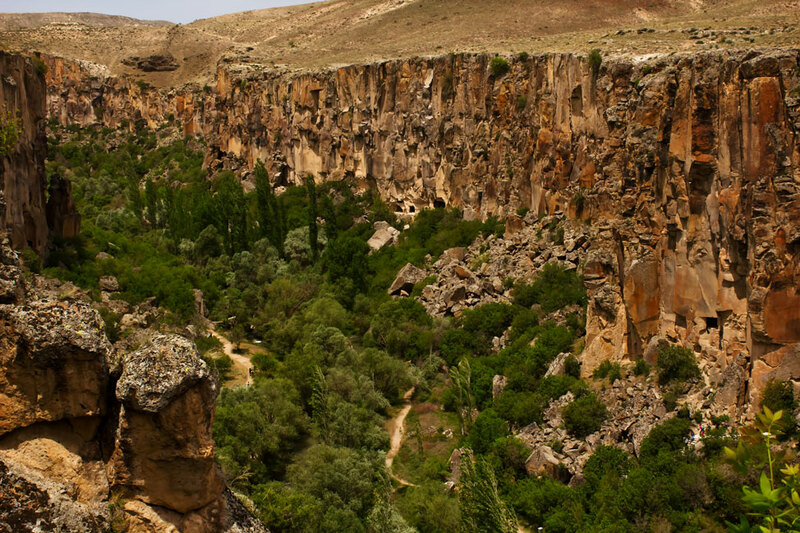 We took those photos from on top Uchisar Castle. I hope you make it there! Those are some brilliant pictures!! 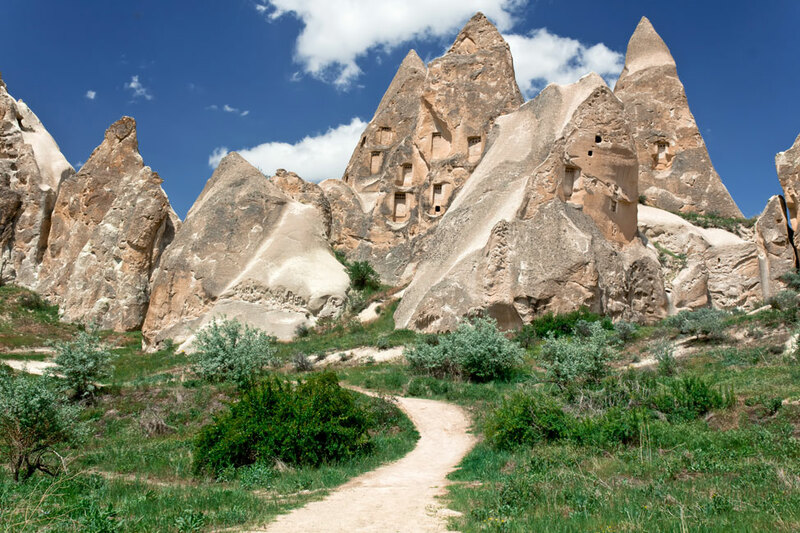 I am going to cappadocia in a few weeks, and would be doing a few hikes. So is the UChisar castle lighted every night? And did you do the treks with a guide? Cappadocia is really gorgeous. Uchisar is my favorite. I missed Ihlara Valley on my last visit, would love to return someday.